CLICK TO CONTACT US DIRECTLY ABOUT "The Velveta "
"O, my luve's like a red, red rose, That's newly sprung in June." 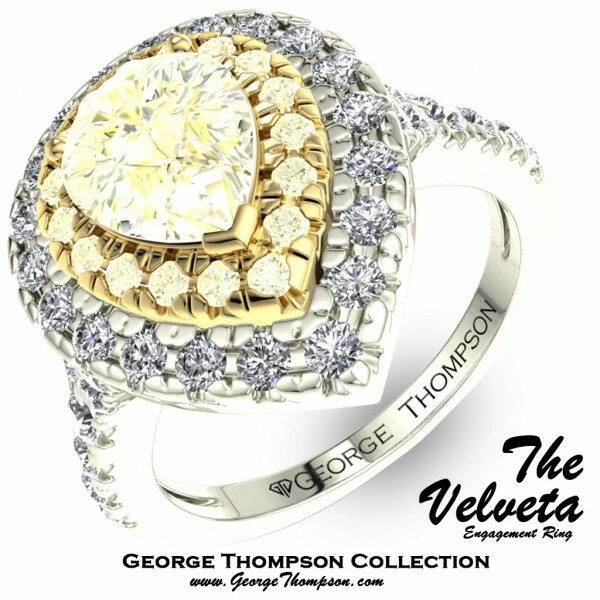 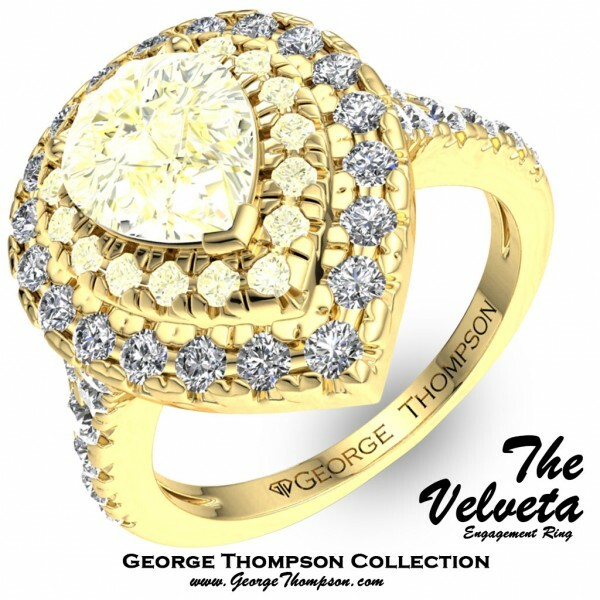 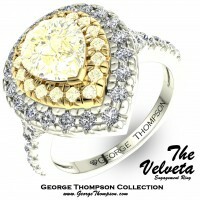 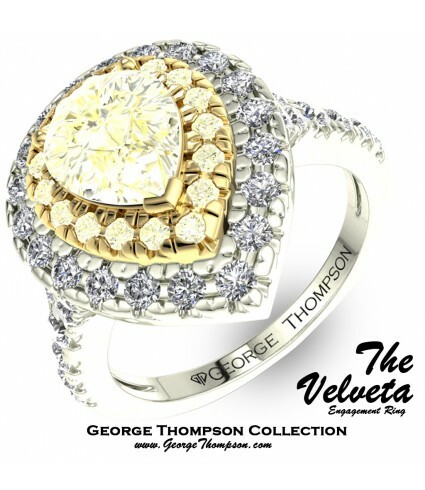 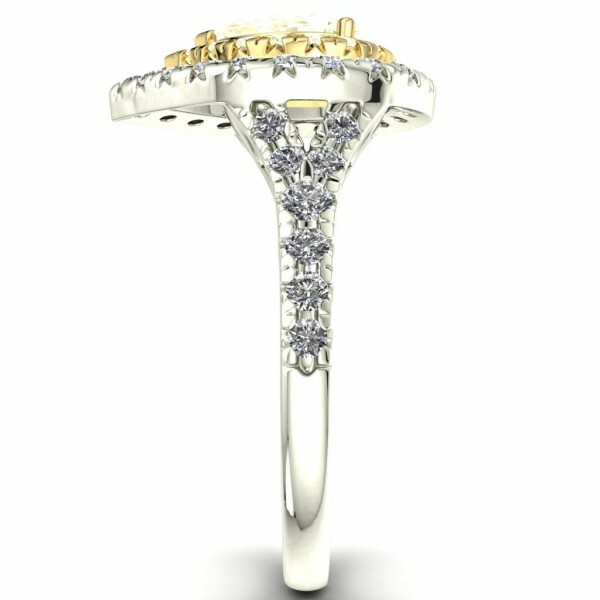 The Velveta, a White Gold with Yellow Gold Accents and Diamond Wedding Set. A center Fancy Light Yellow Pear Shape Cut Diamond of 0.70cts. 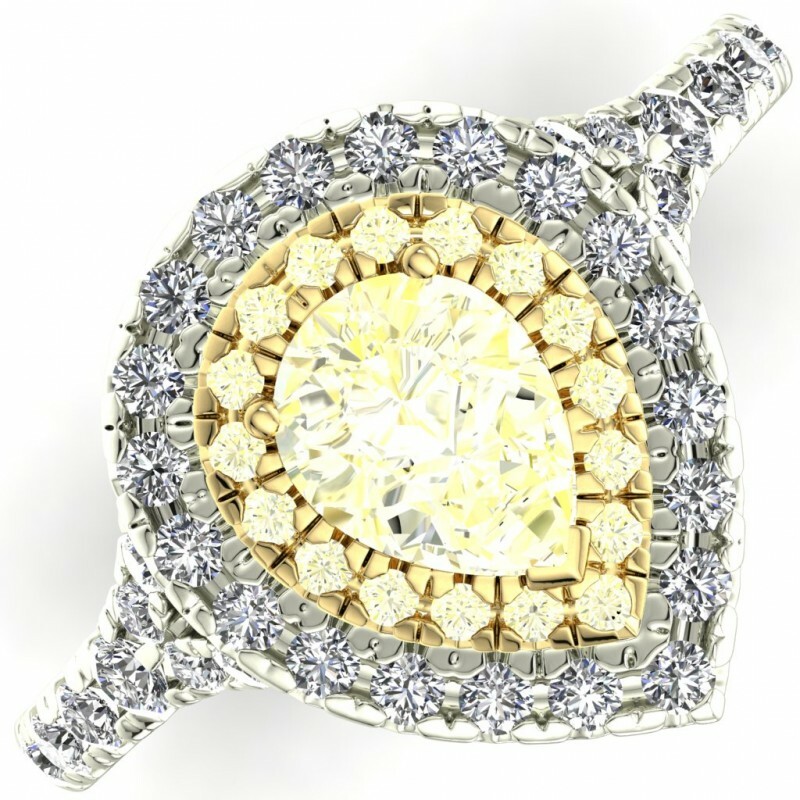 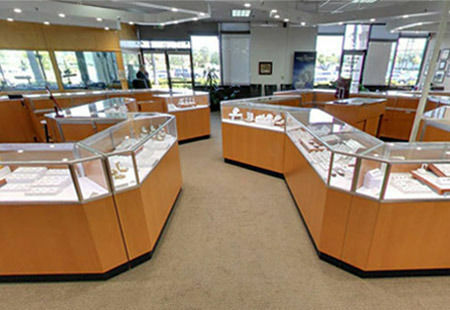 with 18 Fancy Light Yellow Round Brilliant accent diamonds and 35 Round Brilliant accent diamonds with an approximate total weight of 0.60cts. 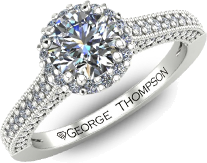 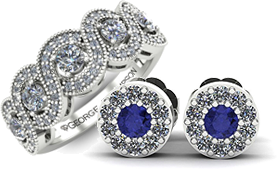 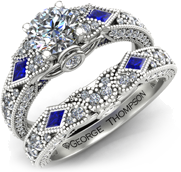 This wedding set has a total diamond weight of approximately 1.30cts. 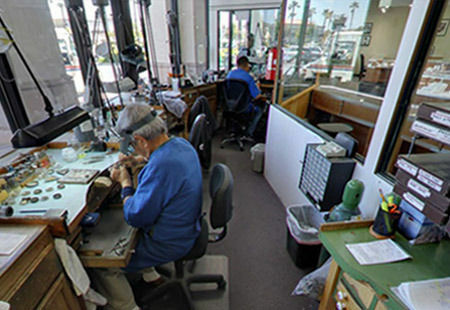 and weighs approximately 3.85 grams in 14kt white gold, with yellow gold accents, also available in White Gold, Yellow Gold, Rose Gold, Palladium and Platinum. 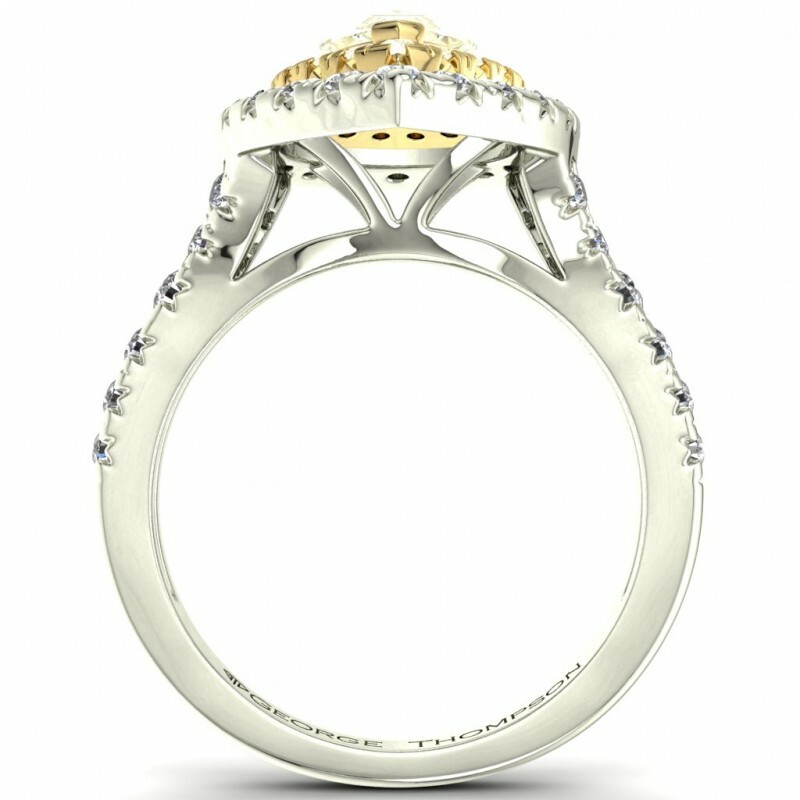 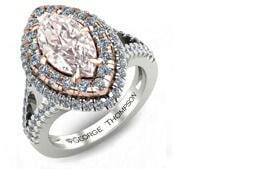 We can custom make this ring in any size.